Arrive in style! Take a look at this stunning shuttle bus for Soave Auto Group of Kansas City. 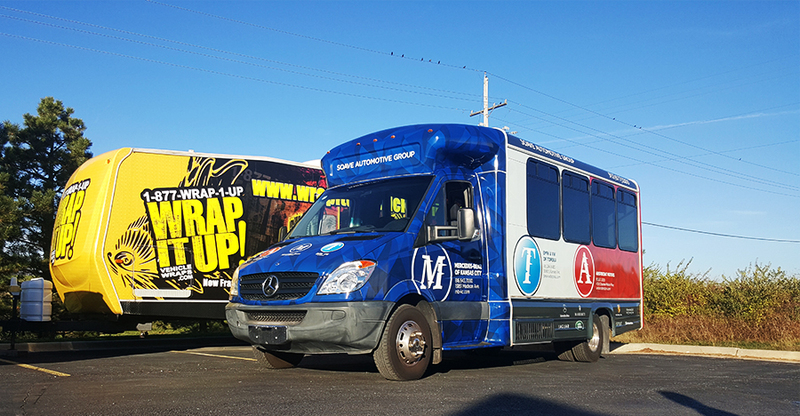 The bold red white and blue graphics highlight the Aristocrat Motors, Mercedes Benz of Kansas City, and BMW-VW of Topeka This wrap embodies all that the Soave group represents. If you are in the need for a new vehicle make sure you visit our friends at Soave Auto Group. Thanks Soave!